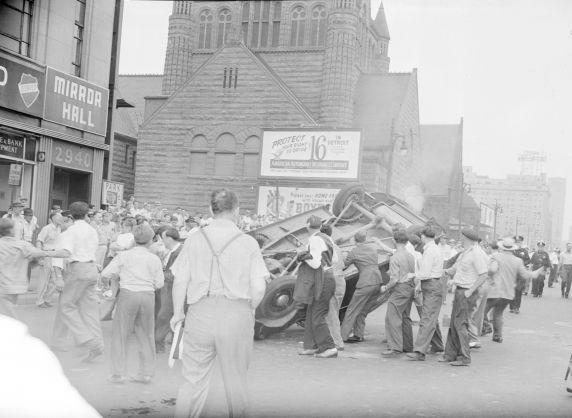 A mob overturns a car near the intersection of Woodward and Charlotte Street during the 1943 race riots. Stateside’s conversation with Jamon Jordan, owner of the Black Scroll Network History & Tours. 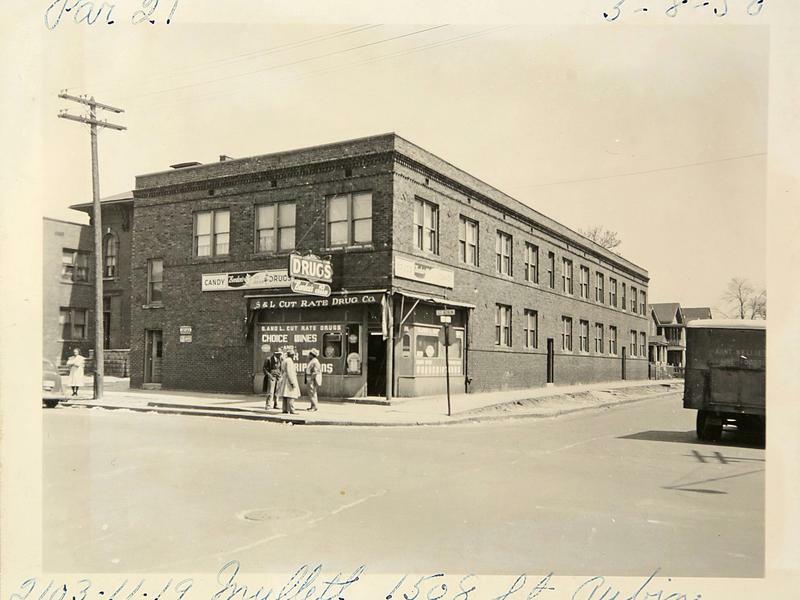 This week marks the 75th anniversary of the 1943 race riots in Detroit, and Stateside is exploring this violent episode in the city’s history – and its legacy in present-day downtown and Midtown. Jamon Jordan, tour leader for the Black Scroll Network History and Tours, joined Stateside to talk about another “major flashpoint” of the riots: Woodward Avenue. The corridor is now home to both Detroit’s development boom and cultural landmarks, including Comerica Park, Little Caesars Arena, and the Fox Theatre. But in 1943, Woodward Avenue was a key marker of racial segregation, serving as a borderline between the African-American business district and the rest of the predominantly white city. 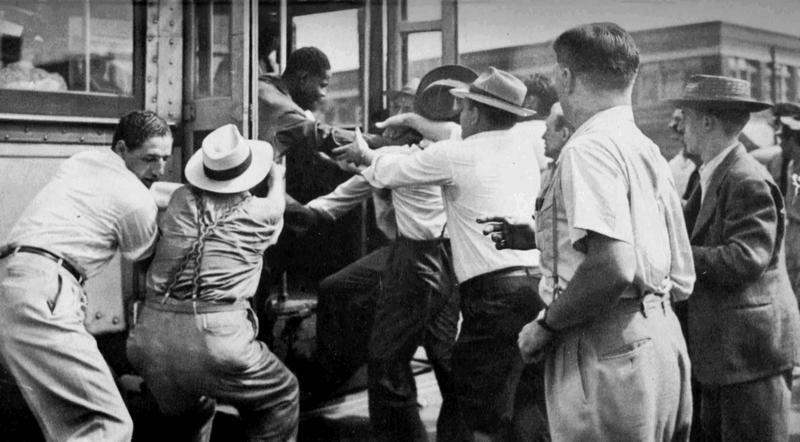 As rioters took to the street in the early hours of June 21, African-American workers were pulled from Woodward Avenue streetcars and vehicles. Many were beaten, and some even killed. The last day of the race riots would ultimately cross Woodward Avenue into the once bustling Paradise Valley and Black Bottom neighborhoods, the commerical and residential centers of black life in Detroit. Listen above to hear Jordan describe the path of violence that some argue set the stage for the 1967 rebellion in Detroit. The video below features Jordan and Stateside producer Mike Blank together on Woodward Avenue. This post was written by Stateside production assistant Gabrielle Horton. Today marks an infamous anniversary in our state. Seventy-five years ago today, a brawl between African-Americans and whites began on the Belle Isle Bridge. Stateside's conversation with journalist Bill McGraw. In today’s Detroit Free Press, there's an article titled Bringing Detroit’s Black Bottom back to (virtual) life. It tells the story of a young Detroit architect named Emily Kutil who's trying to bring a neighborhood that no longer exists back to life ... in digital form. Stateside's conversation with Rebecca Kinney, author of "Beautiful Wasteland: The Rise of Detroit as America's Postindustrial Frontier." 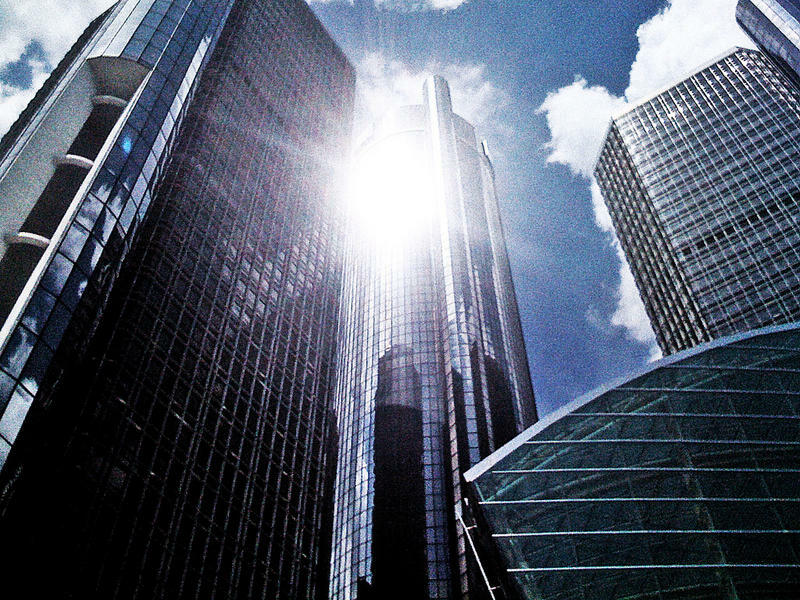 How do we talk about Detroit? In the 80's and 90's, the focus was on crime and urban decay. Detroit was the "Murder City." Today, the narrative is one of possibility and resurgence. But both of those depictions were largely imposed by outsiders, and were, at best, incomplete.